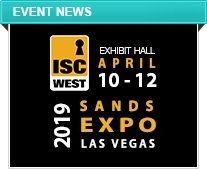 IDIS will celebrate five years at the ISC West International Security Exhibition in Las Vegas, April 10-12th, with a comprehensive showcase of our Total Surveillance Solution in booth #18059. Highlights of our fifth anniversary appearance at ISC West include areas of special emphasis on cybersecurity, deep learning analytics and facial recognition, and solutions for the retail and banking sectors; and a review of IDIS’s latest technology releases. Among the specific innovations IDIS will highlight at ISC West this year are the latest in IDIS cybersecurity innovation, including edge encryption and IDIS Chained Fingerprint; the newest IDIS Deep Learning Analytics offerings—powered by the IDIS Deep Learning Engine—including IDIS DV-2116 IDLA-ready hardware (with an embedded NVDIA GTZ1060 GPU chipset), and the introduction of IDIS Intelligent Search—allowing tracking by color, object, and number—and new IDIS face tracking technology. Additionally, see the latest additions to the IDIS Total Solution, including the DirectIP™ 12MP Panomorph and Compact Fisheye cameras—utilizing IDIS’s industry-leading dual-sided dewarping technology—and the official debut of the full IDIS Compact Solution and upgraded IDIS DirectCX HD-TVI line ups. IDIS Fisheye technology has already proved a real winner with the global success of the 12MP Super Fisheye range – now IDIS customers can benefit from a new compact 5MP version, the DC-Y6513RX, which provides complete 360° coverage in all lighting conditions, without blind spots. This latest model is a great new addition to the product family and comes with powerful features including IR up to 15 meters. Of particular interest is the fact that it also includes on-the-edge heat mapping, which is now one of the most useful analytics tools for small to medium sized retailers. 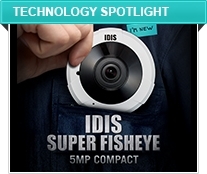 The compact 5MP camera also comes with all the other benefits of IDIS fisheye cameras including silky-smooth, dual-side de-warping with six view modes, IDIS Smart Failover protection, simple and fast installation with DirectIP® NVRs, two-way audio, alarm in/out, plus day and night (ICR). JOIN IDIS AS WE WORK TO "CREATE A BETTER WORLD"
IDIS has debuted “Create a Better World,” a new public service campaign, with an uplifting new video posted in conjunction with the rollout of our new IDIS America Facebook page, and a special debut at ISC West, where we’ll introduce visitors to both the new page and booth the chance to win a Smart Home Starter Pack! “Create a Better World” is all about the kindness and generosity ‘caught on camera’ every day, so easy to overlook in these stressful times, and the many ways we all can do our part to create a better world. 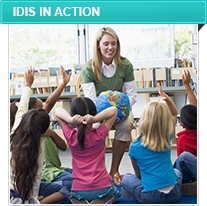 In addition to the video, the IDIS “Create a Better World” campaign incorporates engagement with the communities IDIS serves, including corporate donations of equipment and time, partnerships with local community organizations, and highlights additional activities and social engagement from IDIS at all levels designed to lead by example. 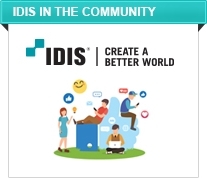 Visit the IDIS America Facebook page or drop by our booth at ISC West to learn how you could win the Smart Home Starter Pack while helping IDIS create a better world. 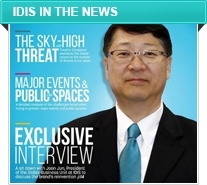 Joon Jun, President of IDIS’s Global Business Unit was selected for the inaugural cover of International Security Journal, in recognition of IDIS’s history of innovation and thought leadership in the global surveillance market. In the magazine’s cover story, Joon speaks to IDIS’s bold reinvention of its business model with the launch of its brand business and the game changing DirectIP™ and looks to the future and the continued leadership IDIS will show in video surveillance for years to come. In two recent installations, the IDIS Total Solution continues to show why it is an ideal solution for school security needs of any size or complexity. Whether meeting the performance, quality, and budgetary needs of a small school district in Wyoming, or rising to the complex modernization challenges of a large Dallas-Fort Worth area system, the IDIS Total Solution lives up to its promise to meet any surveillance need, of any size. For Washakie School District No. 1 in central Wyoming, the optimization and modernization of the small district’s surveillance began where all district projects begin: with students. Unexpected disruptions, threats to the safety and security of school populations, undiscovered accident risks and maintenance concerns can undermine authentic and productive learning, so the school district turned to systems integrator AdTech Fire and Alarm and IDIS—including the powerful IDIS Solution Suite VMS and feature-rich NVRs featuring industry-leading guarantees—to optimize surveillance infrastructure for the mission-oriented students, faculty, staff and administration of a district proud to represent the best of the American northwest. In Texas, the Coppell ISD is one of the state’s most successful school systems, primarily serving a city of nearly 40,000 residents, across 17 educational campuses (with an 18th on the way). With existing surveillance infrastructure growing out-of-date, the opportunity for a district-wide overhaul and modernization effort offered an opportunity to improve safety and security for everyone in the district. The surveillance upgrade crafted by district leaders, in partnership with Siemens and IDIS, includes the deployment of 1,200 networked cameras across the district’s schools and administration facilities, and ensures the comprehensive coverage of indoor and outdoor district spaces through the use of IDIS’s groundbreaking Fisheye technology.